New Products: - The products in the "New Products" section of our web site are presented for informational purposes and while we believe them to be helpful and of good quality it is up to the purchasers to determine the suitability and value when purchasing. 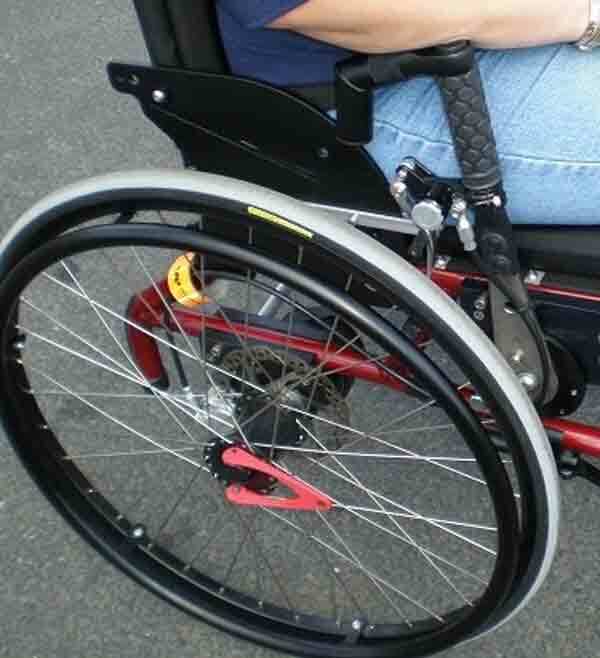 Designed by a UK user group, the Willgo Wheelchairs offer two propulsion types on one wheelchair. 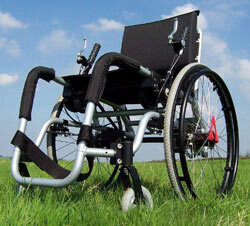 The first is the conventional handrim propelled system common to most manual wheelchairs. 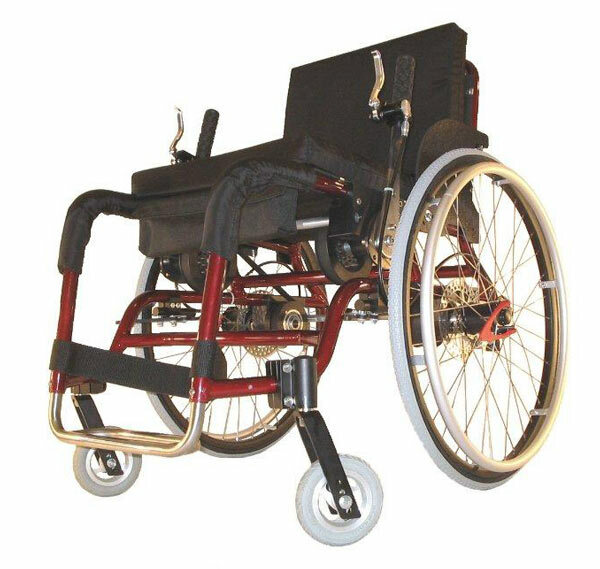 The second is a unique push handle drive system that uses a type of transmission to virtually double the user's strength allowing them to go faster, climb hills easier and traverse rough or uneven terrain easier. The Willgo's transmission is engaged in seconds with two easy motions that cause the the propulsion handles raise automatically. 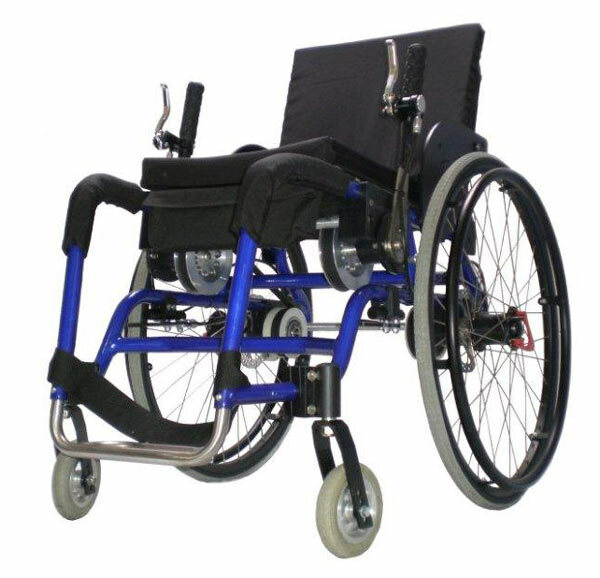 Once the transmission is engaged the wheelchair is propelled by pushing forward on the handles with the user sitting upright, leaning against the back rest. The manufacturer tells me that a user has attained a speed of 32 kph but does not recommend this kind of speed. A more reasonable average speed would be 4-8kph. I agree. Posture is improved - users report improvements in health in short time including breathing, back, digestion, wrist shoulder, balance, and of course clothes are kept away from wheels and tires. Transmissions are adjustable forward and backward propulsion suiting users of all sizes and enhances balance and stability. 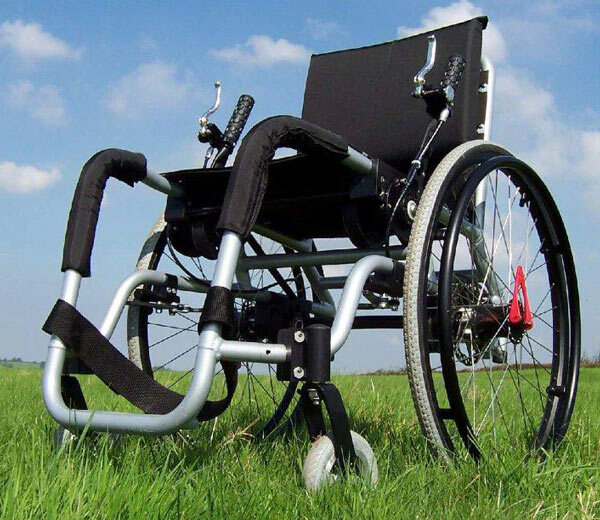 The design answers many of the needs of wheelchair users particularly the young or those with reduced upper body strength who wish to achieve, maintain, independence and health and also those more active looking for a design that will give mobility over distance and terrain without resorting to electric wheelchairs or a vehicle. Download the user manual from the manufacturer's website. Got a New or Unique Product?